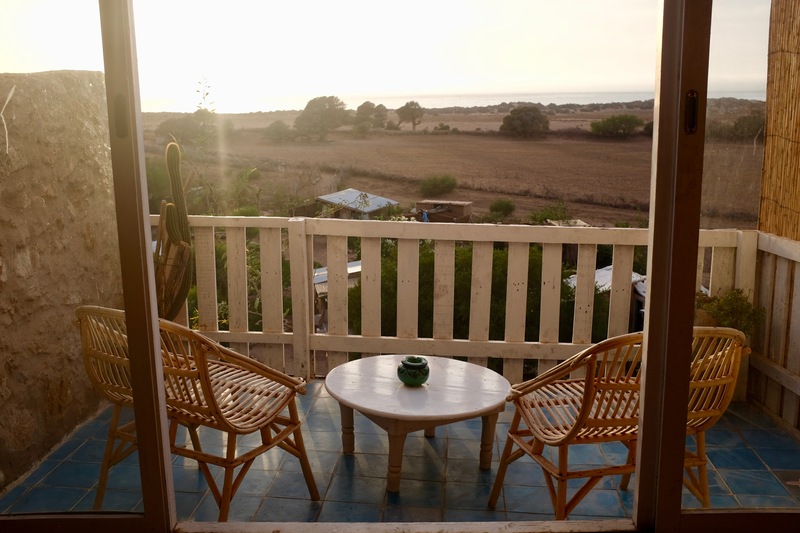 Our ocean-view rooms have their own charming and breathtaking view over our downhill garden camp and the Atlantic ocean behind. 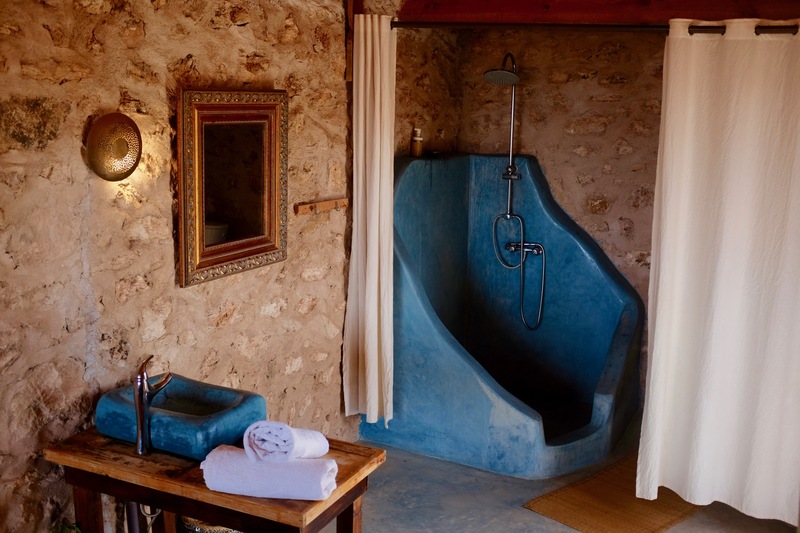 You’ll find a spacious shower decorated in blue Tadelakt and walls made from stone collected from the local area. 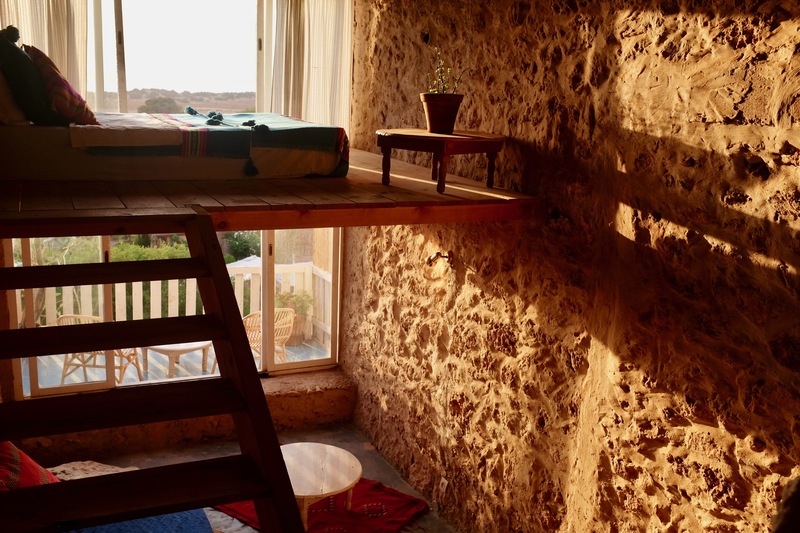 Experience life in the Berber countryside whilst in complete and unique comfort. 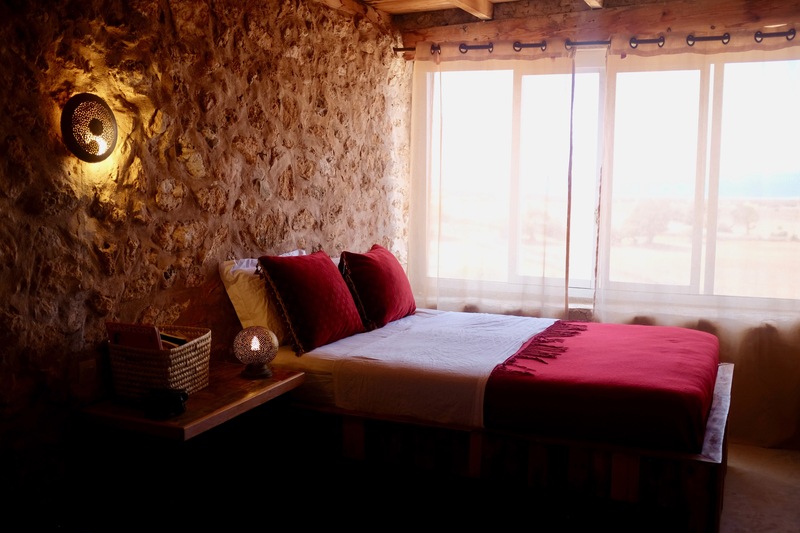 These suites are perfects for couples looking for a unique holiday experience. The hot water is heated from our own design of a solar hot water system and the insulation comes naturally from the thick rock walls. Once you will have woken up to panoramic oceans view (enjoyed even in the unique bathroom) you will never want to leave again! 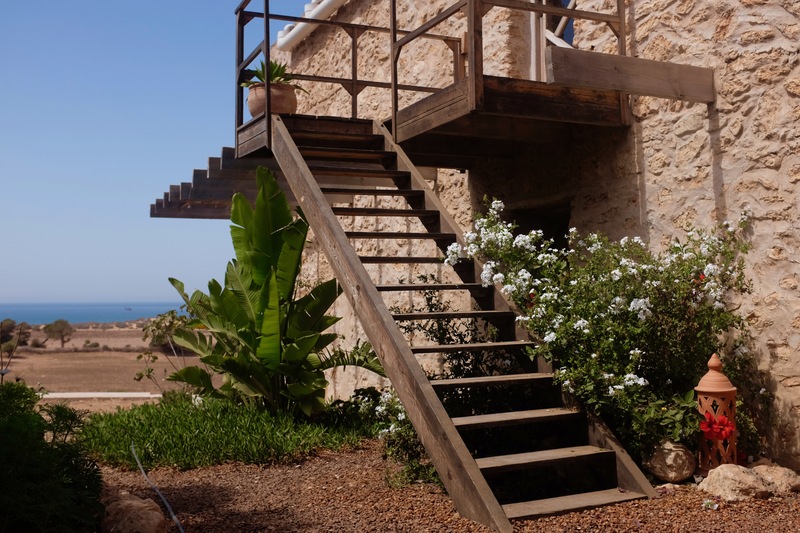 One ocean view has a terrace and mezzanine and the other is situated above with a small terrace and panoramic views.